PALMDALE – The City of Palmdale’s recreation & culture department is offering a Lifeguard Academy that will be held Wednesday, Oct. 10, through Sunday, Oct. 28, at Marie Kerr Pool, 2723 Rancho Vista Boulevard. 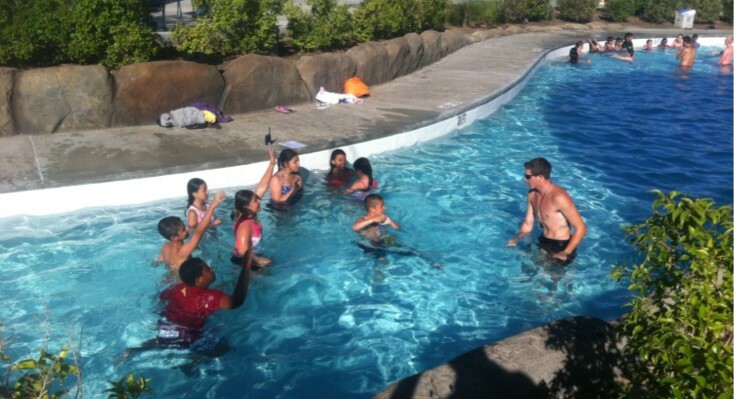 The Lifeguard Academy is designed to train individuals with emergency and lifesaving skills. The academy will be held Wednesday evenings, from 5 to 9 p.m., and Saturdays and Sundays, from 9 a.m. to 4 p.m., during scheduled dates. The cost is discounted to $80 for Palmdale residents and $96 for non-residents. Seasonal lifeguard applicants must be at least 17 years old by July 1, 2019, and be able to swim at least 300 yards continuously. Participants who successfully complete requirements will receive certification necessary to apply for a summer job at the city’s three swimming pools and at DryTown Water Park. There will be an informational meeting on Wednesday, Oct. 3, at 6 p.m. at Marie Kerr Pool. Space is limited. Course fee includes textbooks and supplies. A pocket mask must be purchased by the participant and an additional $39 certification fee is due the first day of the class. More information will be given after the participant successfully completes the required swim test. Applicants may register online at www.PlayPalmdale.com, by calling 661-267-5611, or in person at the recreation and culture office located at 38260 10th Street East. “If you’re interested in a challenging and rewarding summer job, you can get a jump on summer lifeguard jobs this fall through our academy,” stated Recreation Coordinator Jacki Nuss. For more information, visit www.CityofPalmdale.org or call 661-267-5611.